Is there any - relatively easy - way to get information on how certain council housing was actually designed and built? I'm thinking especially of the sort of new tenement that was put up in Blackhill, Lilybank etc in the 1930s (I think) and which are all just about disappearing. They were three story high, with two flats on a landing, each equipped with kitchen (hot water; boiler for washing; sink mangle; oven back to back with living room fire/grating) bathroom, living room (with ornate fire/grating and meat cupboard, with ventilation to outside) and anything from one to four bedrooms. I think the building materials were composite stone with slate roofs. There was a drying green and middens area at the back, and a small garden area at the front. Corner tenements seemed to be larger than others. They were obviously cheaply built and on a massive scale, but my memory is that they were light and airy and the design was a sort of "modernist" take on the traditional tenement. The kitchen and bathroom equipment seemed to have been "cleverly" designed (meaning users very quickly got rid of the or used them for other purposes). They were all in much disprized areas and so are being removed without compunction, except for the occassional superior red-sandstone, or red-composite, ones on prestigious spots. Others were hidden beneath more recent "improvements" before being finally demolished. I wondered if there is any record of whoever designed them, whether they intentionally tried to do a "modern" job on a tight budget, any layout plans of the originals remaining, or any photographs of original interiors (I don't mean the tiled "interiors" which replaced the grates in the 50s). Were they unique to Glasgow? There is a lot on the "sociology" of these areas - I suffer from it still!! - but I would really like to find out more about their design and construction. Any leads? 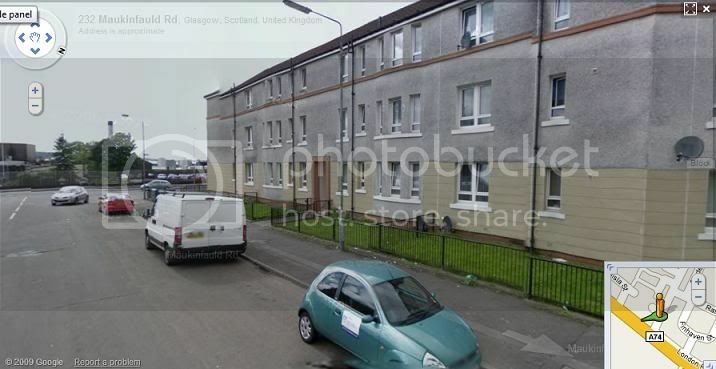 My gran lived in one of those flats in Lilybank and they were far superior to the room and kitchen I lived in Govan. I think you have to be careful when describing all the areas they were located in as deprived. Some of them like Blackhill started off as dump estates for difficult tenants others like Lilybank ended up that way when the skilled working classes moved out to EK and Cumbernauld. And don't tar every tenant in any housing estate with the same brush. You sound like a GHA employee, an atypical one of course. cambusken wrote: Were they unique to Glasgow? I dare say quite a few of the features are of a local flavour. My grandparents lived in a 1930's council house in Somerset and some of the details you describe were included in their place but not others. I'll be interested to see how your researches develop. A fascinating post. Thanks. Wrong era. Mori. Despite the topic heading we're talking 1930s Tenements. Fascinating photo (but aye, sadly out by 20 years). I don't know how useful these might be, but they could have the kind of info you're after, ken. I know the kind of tenements you mean, though - my gran stayed in an example in an infamous development in Cambuslang which went by the curious name of the Caledonian Circuit. The basic tenement with a communal close design was surprisingly persistent in Scottish local authority housing, seems to have lasted right up until the 1950s (such as another infamous Cambuslang example, Cairns, dating from around 1952) when more modern tower blocks and decked access flats started to take over. Gets me to thinking about other more typically Scottish municipal housing types from the 20th Century - I grew up in a classic 4-in-a-block from the 1930s, which were both comfortable and aesthetically inoffensive - and they often had huge gardens too, which would put many a modern 250k private house to shame! There's also the temporary wooden housing which still exists in small corners, and into the 1970s, we have those white roughcast terraced houses, favoured in new towns and the like - I stay in one of these now, built in 1975 by the SSHA. Sadly, the 80s seemed to see the rise of the imported English brick, and houses across the UK generally became all generic and much of a muchness. Forgot to mention books - there are two series which might help - the Buildings of Scotland series and the RIAS architectural guides. The Glasgow editions are pricey but very handy books which often give information on large corporation housing developments. Did Glasgow have a City Architect and City Architect's Office like Edinburgh did at the time? Could be useful in putting a potential name to the design. 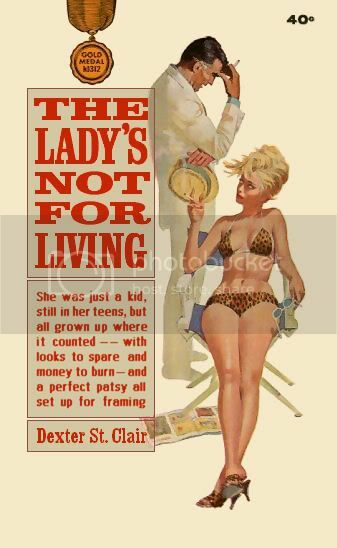 Dexter St. Clair wrote: Wrong era. Mori. Despite the topic heading we're talking 1930s Tenements. Not researched this subject but a good topic overall, its a 50s era where that photo has been taken by the evening times, i magine its the same concept and design ethos that the council used over the years to build the 2/3 story ( modern ) tenamented housing schemes in and around the city. Although on saying that, the material quality used internaly and externaly would maybe be less quality as each decade passed hence the dampness ridled ones that lasted only a few decades on from the 70s where as the 20s/30s constructed ones still stand to this day. 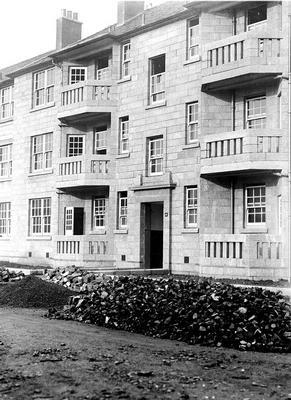 The Blackhill slum clearance scheme, built on the Blackhill Golf Course (by William McNab, Director of Housing, 1935-6) did little to ameliorate the lot of the tenants, most of whom were moved from the notorious Old Garngad slums, just to the W. In 1977 half of its flat-fronted, unadorned concrete-block tenements were demolished because unfit. Some of the rest were rehabilitated, 1978-9, and more went in the path of the M8 in 1983. Contemporary with the Blackhill tenements, the small group of about 300 cottage flats of various designs built by the Corporation at Provanmill. The scheme was extended N of Royston Road in 1947 by a number of prefabricated steel houses in Robroyston Avenue. There is nothing to be seen now of the small C19 settlement. Thanks for your comments and for the picture. It shows the so-called "improved" version of flats just round the corner from where I grew up in the 50s. (Not really an improvement, I think) It was only much later - after a great deal of reading and study - that I found out to my surprise that we had been "deprived" and that I had lived in a "troubled" community. It did not seem like that at the time. Perhaps it was us moving out that caused the decline!! (I have to say that about the people there today still seem like ordinary human being to me). Lilybank is also the "land that time forgot". I just cannot find out anything about its history - apart from the Westthorn riots, and its "troubles". I seem to remember a "Lilybank Cottage" but even that seems to have disappeared. Parkhead Juniors might have been figments of my deprived imagination, for all that remains of them in the historical record. But, never mind, I have plenty of time and hope to sniff out some details over the years. Thanks again for your help. Thanks for this. I have read the Wordsal but not the others, so Mitchel here I come. I also read a book on the stigmatisation of Blackhill by Sean Damer from Glasgow University, which had some intersting points on its development, but was overwhelmingly sociological in its approach. Thanks again for your help.